A family of large diaphragm capacitor microphones with remarkably low noise and wide dynamic range available in a choice of satin nickel or dark bronze finish. 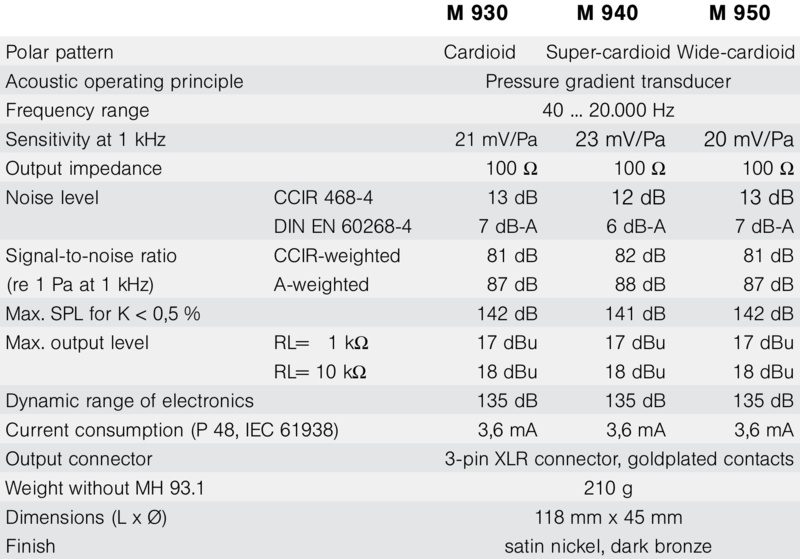 This amazingly compact family of large diaphragm capacitor microphones combines Gefell’s latest sputtered gold capsule with photovoltaic decoupling technology to achieve outstandingly low self-noise (6dBA for M940, 7dBA for M930 & M950), with a remarkably wide dynamic range. As some of Gefell’s best loved FET microphones, these are much sought-after for solo voice and instrumental recordings, and are to be found at numerous broadcasting studios as presenter microphones, chosen for their natural warmth and low susceptibility to pop and proximity problems. The small physical size is a major advantage in today’s equipment-laden broadcasting studios to be able to maintain good sight-lines. 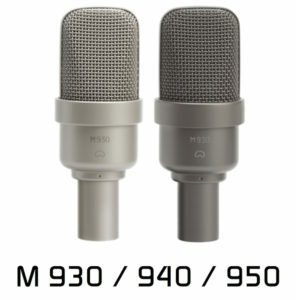 The cardioid M 930 is a favourite for voice-over and “on air” use due to its small size and does not get in the way when handling scripts, etc., as well as being unobtrusive for instrument recording – yet is still a full sized large diaphragm condenser microphone. 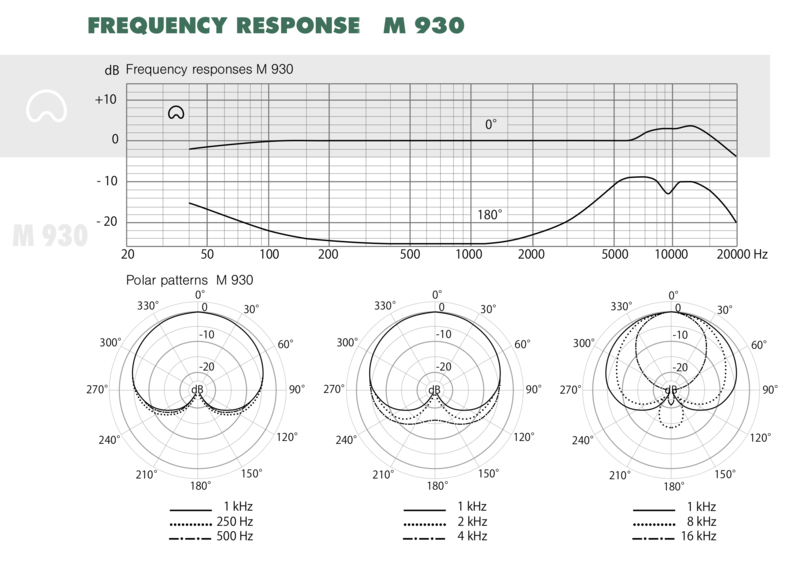 The M 930 is also excellenty as a main stereo pair and is available as a stereo set with ORTF and XY mounting options. 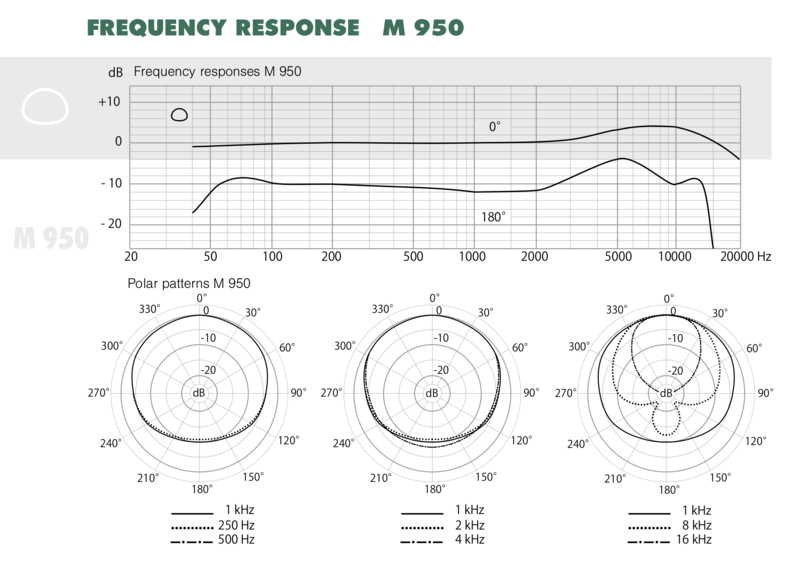 The wide-cardioid M 950 is especially useful for organ and grand piano due to the extended low end response and still retaining a degree of directivity for use where an omni-directional patten would not be appropriate. 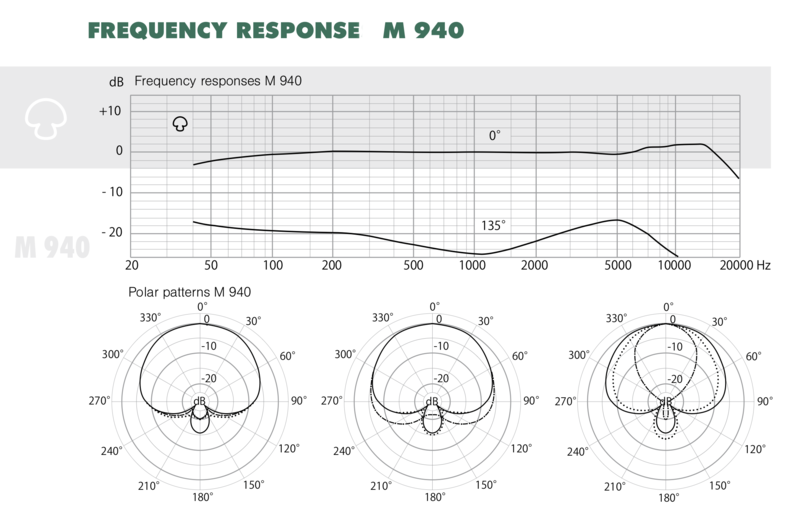 All the microphones can be suplied in matched stereo sets for XY (with TD 93 holder), ORTF (with SH 93 holder), or in a 5.0 surround recording configuration (INA 5) or as a set with the INA 5R.